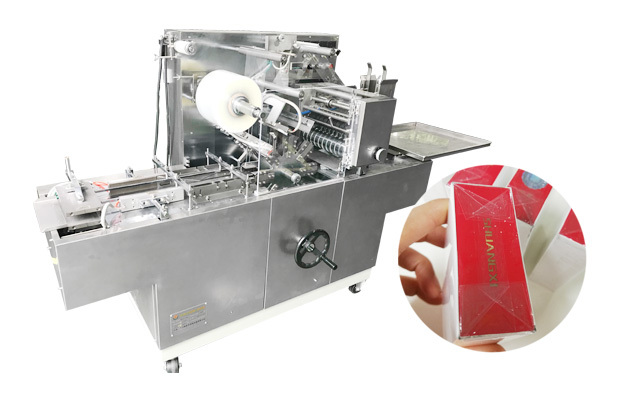 Three-dimensional transparent film cellophane cigarette wrappers(commonly known as cigarette packing machine, the effect is similar to cigarettes) adopts the use of BOPP heat sealing film box-like objects from three-dimensional wrapping (with unpacking and easy pull cable) can be widely used in cigarettes, medicines, etc.. 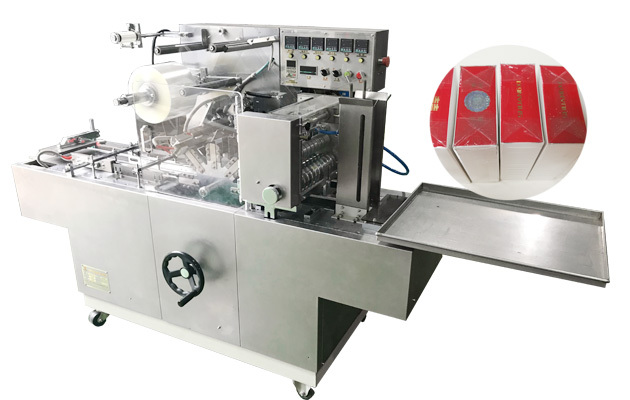 The automatic packaging of various box-type single items and multi-items in industries such as goods, food, daily cosmetics, playing cards, erasers, tapes, and optical discs. 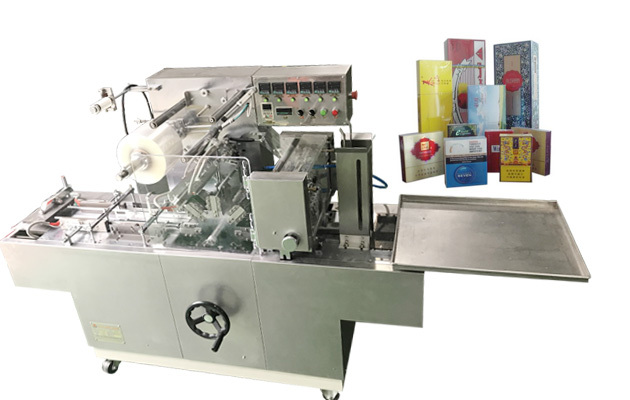 This cigarette wrapper machine is carefully designed and transformed on the basis of absorbing and digesting advanced foreign equipment. It can automatically feed, wrap, fold, heat-seal, count, and affix the unsealable cable. The machine is stable in operation, and the seal is firm and beautiful. The use of such a packaged product can achieve anti-counterfeiting, moisture-proof, dust-proof and other effects. The machine is compact in structure, easy to operate and easy to maintain. It can be packed in different sizes to replace a small number of parts. Applicable to the packaging of large box-shaped products, and can automatically stack and collect multiple single-box products (which can replace the assembly shrink packaging machine), and products that require photoelectric tracking. Such as articles wrapped in cigarettes, tea, boxed chewing gum, medicines, cosmetics, health products. 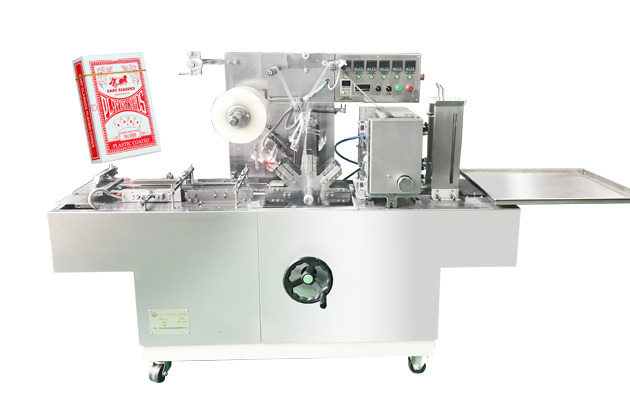 The machine is widely used in the transparent film three-dimensional wrapping of various single-type or multi-piece (collective) articles in medicines, cosmetics, health products, foods, etc. The packaging film is cut by a cutter to fit the required length of the packaging. The small packaging box is conveyed by the conveyor, the cylinder pushes the stack (in the required form and quantity), and the wrapping and folding envelope form a medium-sized package. Since the device does not have a heat-sealable packaging machine, the heat-sealing oven will heat the packaged object as a whole, and the local spot instantaneous low-temperature package will not cause a temperature change in the package inside the package, which is relatively called a cold packager. 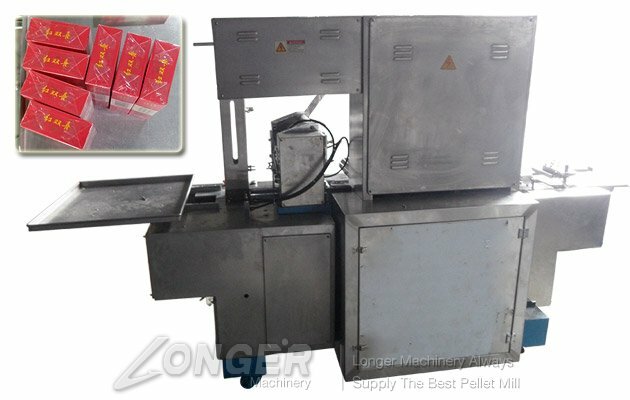 Can replace heat shrink packaging machine.